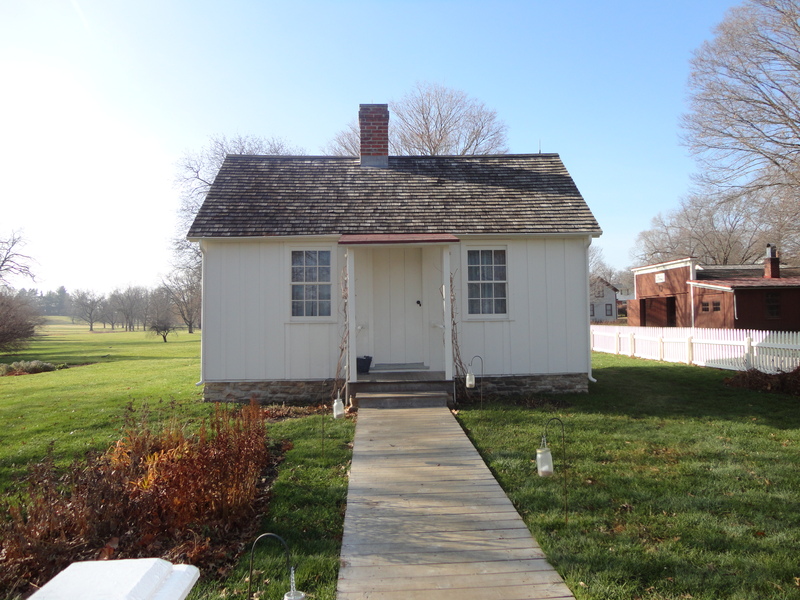 The cottage is part of the Herbert Hoover National Historic Site and Presidential Library and Museum. Herbert Hoover was the 31st President and he lived during a time that bridged World War I, the Depression, World War II and post War periods. The cottage is just one of the items included in the National Historic Site along with the museum, library, reproduction Blacksmith shop his father Jesse Hoover built in 1871, West Branch Iowa’s first one room school house built in 1854, the Friends Meetinghouse where he worshipped and the gravesite of both President and Mrs. Hoover. Herbert Hoovers parents, Jesse and Hulda Hoover were devout Quackers. They married on March 12, 1870 and Herbert their second child was born in the cottage in 1874. The cottae was built by Jesse with assistance from his father Eli. The two-room structure is 14’ x 20’ and the home’s foundation stones were brought by wagon from the prairie and the lumber came from trees that had been lashed together into a giant raft then floated down the Mississippi River to a sawmill in Muscatine. After the lumber was sawed, it was hauled by oxen. We were amazed that this cottage that is basically the size of a garden shed was the beginnings for this interesting man.